The $160 bln conglomerate’s first-half earnings rose by just over a third, thanks to life and health insurance. Market clouds present dangers for an insurer with lots of investments, but its results suggest Chinese households can provide some protection from the squalls. 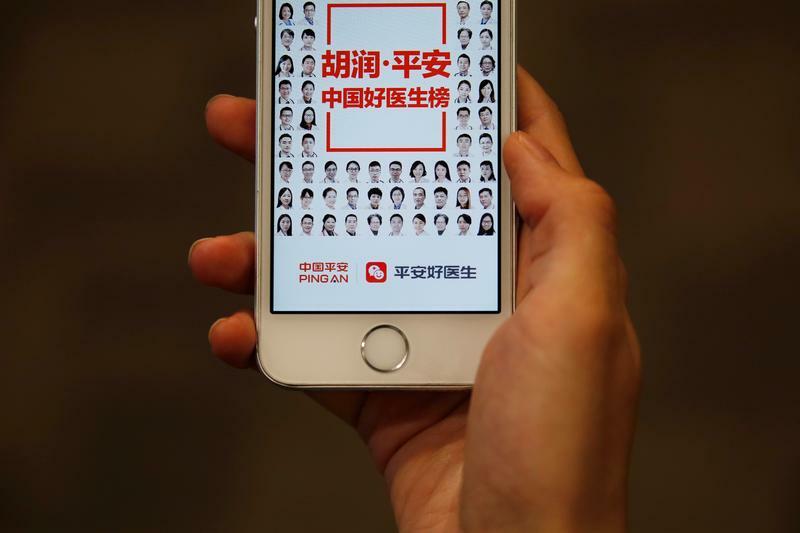 Ping An Good Doctor app, an online healthcare platform operated by Ping An Healthcare and Technology Co Ltd, is seen on a mobile phone in this illustration picture taken May 3, 2018. China’s Ping An Insurance Group on Aug. 21 reported first-half net attributable profit of 58.1 billion yuan ($8.5 billion), up 34 percent from a year earlier. JPMorgan analysts had last month forecast earnings of 42.8 billion yuan, a slight dip on the first six months of 2017. A main driver was Ping An’s life and health insurance operation, which notched up a 43 percent increase in net attributable profit. Bloomberg reported on Aug. 8 that the conglomerate was considering the purchase of British insurer Prudential’s Asia business, citing people familiar with the matter. The deliberations are at an early stage, it said. The company’s shares closed up 1.44 percent in Hong Kong on Aug. 21, before the half-year earnings, at HK$70.35.